Sandy is a wonderful story. She started training with me spring of 2012. 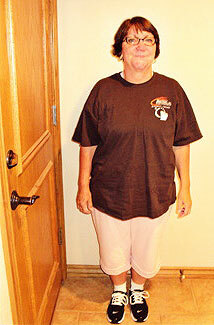 Her goals were weight loss and to get stronger. Our first time on the elliptical trainer was only three minutes. but within six weeks she was doing an hour! And within 9 months she completed a half marathon! Wow! Incredible! An inspirational story for us all! 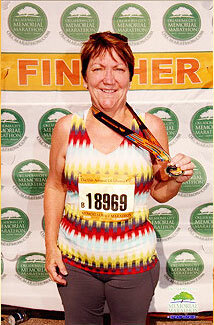 Congratulations Sandy for completing the OKC 2013 Half Marathon (13.1 miles) I am proud of you! !